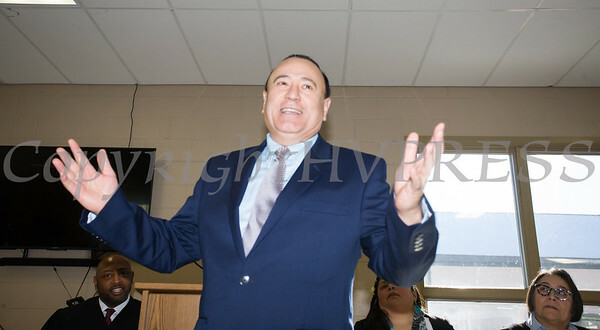 New York State Assemblyman Frank Skartados died on Sunday, April 15, 2018. This is a photo tribute to him. NYS Assemblyman Frank Skartados offers remarks as newly elected members of the Newburgh City Council took the oath of office on Monday, January 1, 2018. Hudson Valley Press/CHUCK STEWART, JR.